Calling a smart investor, great starter or rental. Why rent when you can have an affordable home located on a nice street. 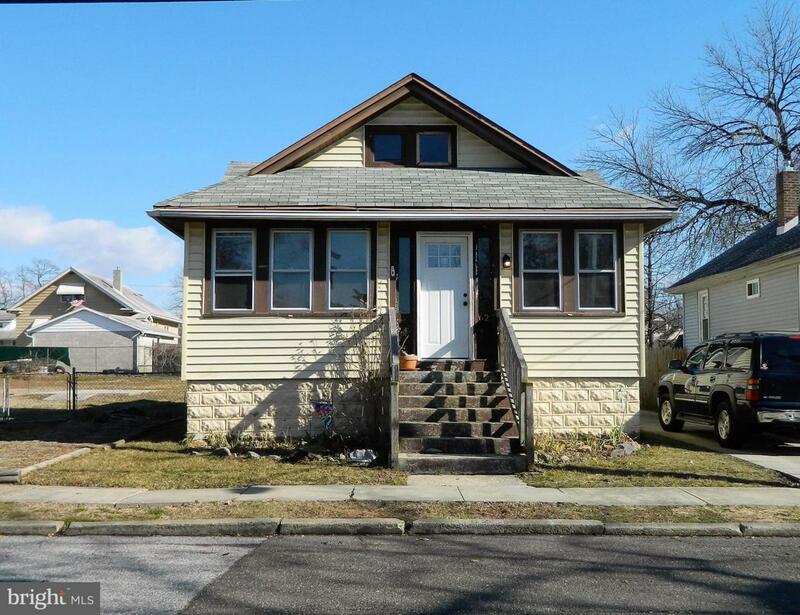 Offers a nice front enclosed porch, 2 bedrooms and an updated kitchen and bathroom area. The seller replaced the Heating and Air and is 4 years young. Also offers an attic for storage or more bedrooms if redone and a full basement. Lets not forget the over sized 1 car detached 20x26 heated garage. Sold as is but doesn't need much for you to do. The buyer is responsible for any repairs, certification and treatments if necessary. . Conveniently located near stores, restaurants, schools, public transportation and just off of Rt 295 North and South to be in the City or Delaware within minutes.